After the initial implementation of Office 365, organisations will typically spend some time looking at their existing business processes to identify ways that Office 365 can improve them. It’s nearly impossible to move all processes at once, but identifying and improving the most highly utilised ones will certainly assist with organisation-wide adoption of Office 365. Office 365 comes with a lot of tools and it can be challenging to narrow them down to get a full picture of the pros and cons that may affect a development process. So let’s take a look at some of the questions that frequently arise when reviewing requirements for a business process and how the Office 365 suite of tools might answer them. When looking to improve a business process in Office 365 with a no or low-code tool, there are typically three options to consider: Microsoft Forms, SharePoint Lists/Libraries and PowerApps. The first thing to review is the current state of the business process and its complexity. If the process begins with something like simple data entry into an Excel spreadsheet with minimal logic, then Microsoft Forms might be a good fit. Microsoft Forms works well for those who are not very technical and need something simple and straightforward to manage the form. The biggest con of Microsoft Forms is it offers minimal field types and options for logic. If the field types are more complicated than what Microsoft Forms offers, the next step is a SharePoint list (or library). SharePoint lists offer numerous field types and have some built-in features like views and validation. They are also a great jumping off point to utilize other tools like PowerApps. Libraries should be considered if a document upload is what initiates the business process. PowerApps come into play when the logic of the form goes above and beyond what SharePoint lists can do out of the box. Think things like cascading dropdowns, repeating tables and connecting to data outside of the current list. Also, with PowerApps there is the bonus of adding mobile apps. One other consideration is the audience for the business process. If that audience contains unlicensed external users, you may need to stick with Microsoft Forms or SharePoint Lists or Libraries, as PowerApps isn’t currently available for external users. Once the business process has a home, the next step is to establish how the process needs to flow. Use Microsoft Visio, or a similar tool, to map out the exact process. Are there approval stages? How many? Does that data need to be moved elsewhere when the process is complete? These are all great questions to ask when mapping out the workflow. The main tool for workflows used to be SharePoint Designer. While that is still an option, a lot of people using Office 365 have turned to Flow to replace SharePoint Designer workflows. Like PowerApps, Flow comes with a learning curve. If you are new to workflows, Flow is a much more user-friendly version of Designer. Flow does have some pre-built templates that come in handy. One example is a template that automatically sends data submitted to Microsoft Forms to a SharePoint list. This is perfect for those who like the user experience of Microsoft Forms but need the data in a SharePoint list for either reporting or to continue a more complex business process. Once automation is up and running, the next thing to consider is how the user will interact with all of it. This can be most easily achieved by using modern pages in SharePoint to give each type of user their own experience in a dashboard view. These pages can contain links to a form, views of lists or libraries, and embedded PowerApps. There is also an option to embed visualisations of data from Power BI. This does require some licensing considerations, but can be extremely helpful for those who need quick answers about the business process and how it is functioning. 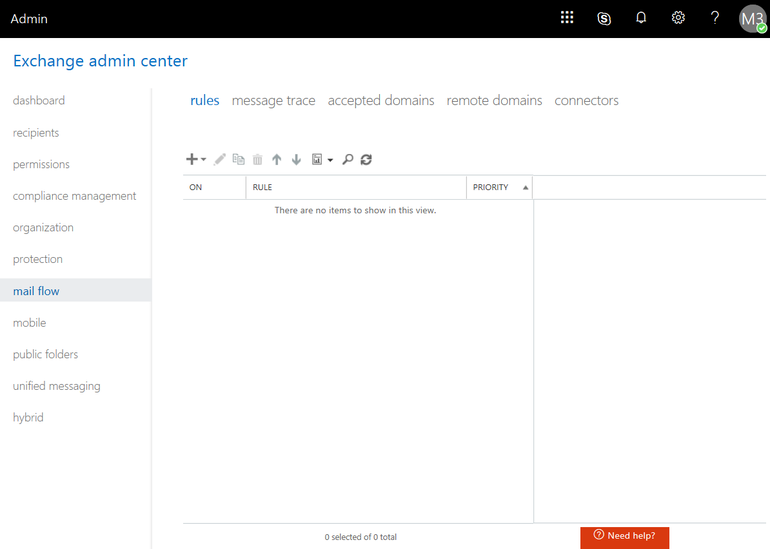 Microsoft also recently added connector web parts, which allow you to connect and display data outside of Office 365. Creating these robust experiences for users will help with overall adoption and ease the training burden. Taking the considerations above will get your organisation started with automating your business solutions. If you have questions on how to further apply these to your business, feel free to speak to us! Send us a message or give us a ring on 1300 302 207. Empower your employees to easily notify IT security personnel of a phishing attack with a simple Exchange rule. Learn how to set one up below. When it comes to enterprise phishing emails, the most effective defence is a well-trained and educated workforce. While technologies like artificial intelligence and machine learning may stop many phishing emails from getting through to user inboxes, those tech solutions cannot overcome the careless click of a malicious link when the technology fails. A 2018 report from Comodo Security shows that about 50% of an enterprise’s computer using employees will click on a link sent via email from an unknown user without first thinking of the potential consequences. 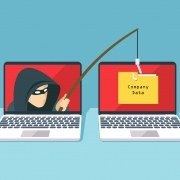 To overcome this lack of urgency, IT professionals should task the entire workforce with the responsibility of immediately reporting phishing emails when they are uncovered. 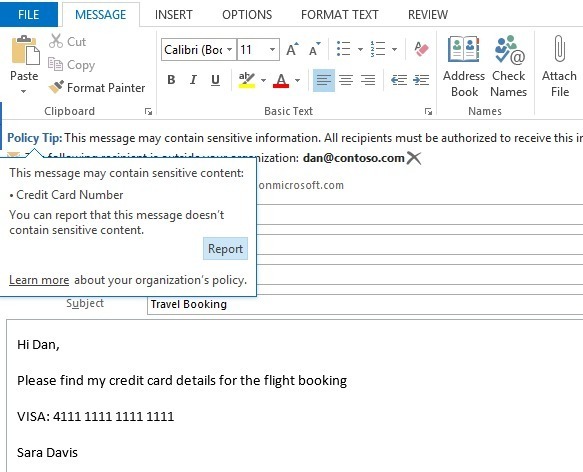 The Office 365 add-in, Report Message, allows Outlook users to report a phishing or other suspicious email with the click of a single icon on the standard Office Ribbon interface. However, by adding a new rule to Microsoft Exchange, your organisation’s IT security team can also receive a copy of the report and be notified – with no additional effort on the employee’s part. Creating or modifying rules using the following technique requires Exchange Online Administrator authentication status. 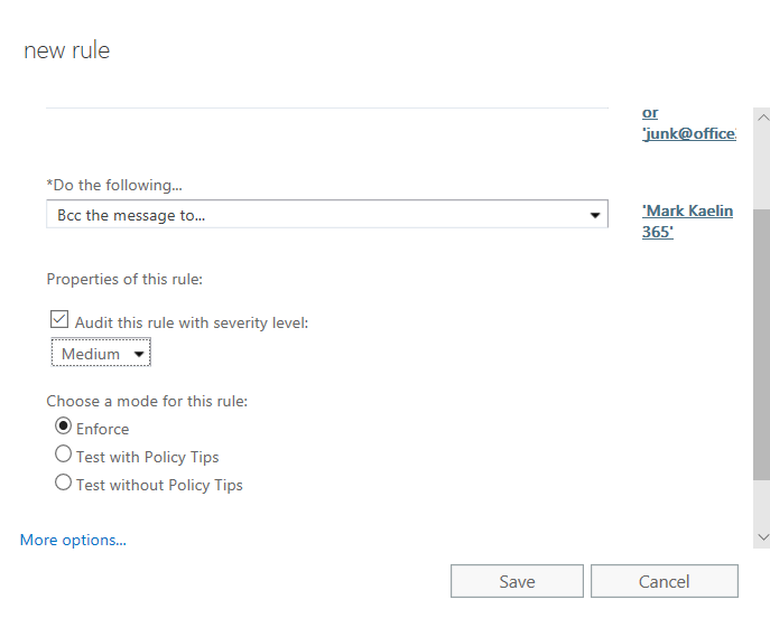 This tutorial also assumes you have installed and enabled the Report Message add-in for Outlook. Click on the Plus button to create a new rule. 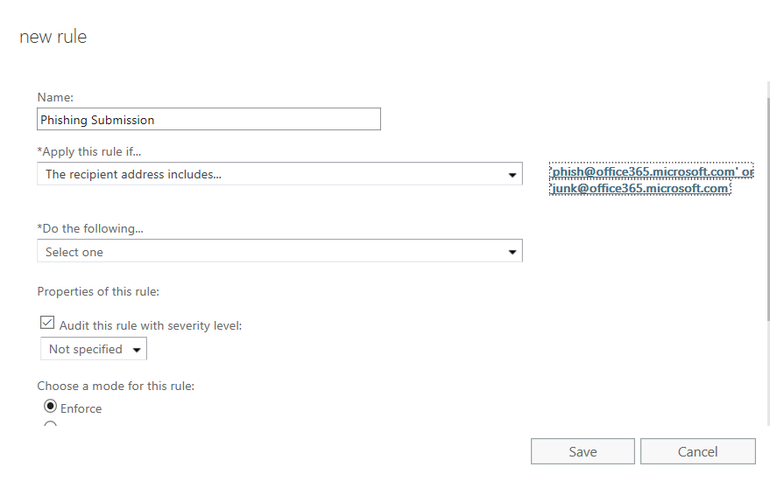 Name your new rule (Phishing Submission) and then open the Apply this rule if dropdown box. Choose the entry: The recipient address includes. Add these two email addresses to the list as shown in the below screenshot. In the Do the following box, choose the Bcc the message to entry and add the appropriate security administrator or team as designated by your intrusion detection policy. Set the Audit this rule with severity level to medium, as shown in the below screenshot, and click Save. Once this rule is established, whenever an employee reports an email using the Report Message add-in, the appropriate security personnel will receive a copy of the message automatically. This will allow your security teams to act swiftly and decisively to mitigate and counteract phishing attacks in accordance with your organisation’s policies. Today, 61% of employees say they work outside of the office at least part-time, and that number is gradually increasing. As staff continue to adapt and evolve in today’s digitally-transforming landscape, it’s important to ensure that your business is equipped with the right tools to facilitate collaboration. Solutions like Microsoft Teams are designed to ensure that experts can continue to communicate with their colleagues, contribute to workflow, and produce exceptional results regardless of where they are. 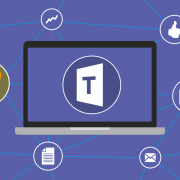 With the dedicated Microsoft Teams mobile app, users can view shared content, connect through chat with meeting participants, and catch up with various tasks, all within a convenient, easy-to-use application. So, what makes Teams so beneficial for remote workers? The mobile user interface for Teams is simple, with a minimalist navigation menu that makes it easy for users to find the chats and activity feeds that are relevant to them. Users can check recent conversations, mentions, and team actions within a matter of minutes, and everything is organised chronologically for the best results. The features available on the Microsoft Teams mobile app are designed to be easy to use and access. The most prominent tools available include chat and calling. Chat comes with things like photo uploading, rich text editing features and more. While Microsoft Teams might not have the widest selection of features available on the market, there are numerous add-ons available so that you can basically build the team collaboration software of your dreams. With the Teams Mobile app, remote workers can tap into the rich desktop experience of Teams collaboration and plug into an array of third-party services without ever having to switch to another tool or provider. All that, and the app is extremely easy to use, which ensures that you don’t have to bring remote workers in for training. One point worth noting is that the Microsoft Teams application does work more effectively for file editing through mobile if you have other Microsoft Office 365 applications installed too. This may be something to consider when building a suite of tools for your mobile workers. Microsoft recently announced a new suite of features intended to appear within Teams throughout 2018, including the delivery of new inline messaging translations between a range of languages in chat and conversation channels. There’ll also be a background blurring option for video calls, proximity detection to add Skype systems to meetings, and mobile sharing facilities too. Mobile sharing will mean that attendees can share video live streams and photos from their mobile devices. Alongside the huge selection of planned features, Microsoft has announced new calling features for the enterprise-grade system, including call delegation and consultative transfer. There’s also Direct Routing available, which allows customers to integrate their existing telephony with Teams. Additionally, Teams will also be available across a range of meeting room devices, including the Microsoft Surface Hub, and a selection of partner-created devices like those from HP, as well as Plantronics and Polycom. 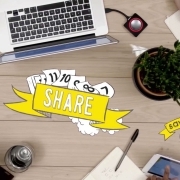 Microsoft has announced new features that will help users to transcribe, record, and save meetings in the cloud. The anticipated inline message translation function will also integrate with Microsoft’s very own voice assistant, Cortana. According to Microsoft, their decision to integrate Teams with Cortana should help users to make calls more easily, join meetings, and add people to conferences using nothing but natural language. During this year, Teams will see the arrival of cloud recording – another solution that will take advantage of recent developments in cloud technology. Teams will have the opportunity to record meetings with nothing but a click and create automatic transcriptions of whatever was said. 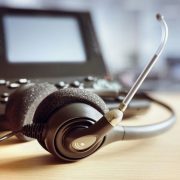 Attendees in meetings will be able to play back key parts of their recordings with the help of transcription guidance. Microsoft has suggested that the transcription service will be upgraded in the future with facial recognition to make sure remarks are properly attributed to the right people. Alongside all the recent updates, Microsoft also gave an insight into the popularity of Microsoft Teams, with 200,000 customers currently in the Teams environment, over 181 markets, using 39 different languages. Are You Ready for Teams? To learn more about enabling your teams with Teams, contact us today. Are your meetings frequently disrupted or delayed due to connectivity issues? 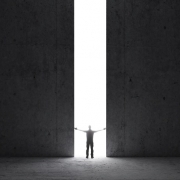 What are the main barriers your business faces when conferencing? In a recent study* by Barco, the most common IT related issue in the boardroom is Connecting Hardware, followed closely by Using Meeting/Presentation Software. There are many negative impacts caused by such meeting disruptions, from appointments being postponed or cancelled, to even damage to business reputation. Want to learn how Interlinked can make conferencing easy by adding Barco ClickShare to your business solution? Contact us today. Shadow IT represents any technology spend that occurs outside of and without input from the IT department. An estimated one-third of all technology spending falls under this category. The rise of Shadow IT is as harmful as it is inevitable. 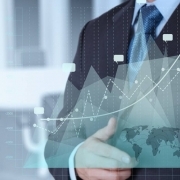 Tech savviness is no longer concentrated within the IT department. As more and more digital natives enter the workforce, the demands on the IT department, and business as a whole, are changing. These new users want technology to enable their work, and in many cases they don’t understand why they have a much richer and more robust computing experience at home than at work. They demand to, for example, bring their own devices (such as mobile phones) to work…so why not bring their own IT solutions too? The cloud has also made it easier than ever to identify and consume IT resources. Implementations that used to take an army of consultants and a matter of years can now be done in a fraction of the time with nothing more than a credit card. Today’s business leaders are armed with the ability to bypass IT. At its core, Shadow IT results from a disconnect between IT and the business. The business believes that IT is being unreasonable in not adapting to its needs, and IT thinks the business is sacrificing long-term environmental stability at the altar of short-term needs. IT does not respect its users. We have all seen IT departments that treat users as an inconvenience, and if IT does not show a willingness to engage and cooperate with the user base, the users will find solutions on their own. IT isn’t innovative. As mentioned earlier, users are more technically savvy than ever before. They have rich computing experiences at home, and they are able to encounter new and powerful IT paradigms through social media. If IT doesn’t deliver innovation, it’s not surprising to see users discover and seek the innovation on their own. IT is expensive. If your IT department is bloated with bureaucracy, or projects constantly find themselves over time and over budget, users will run out of patience, especially when external providers can deliver powerful Shadow IT with just a few clicks and a credit card. IT isn’t flexible. Some IT departments can develop a siege mentality, in which any suggestions for improvement are dismissed simply because they differ from “how things were always done.” Users are only human; they will tire of a can’t-do attitude and seek alternative solutions. IT is too slow. Before the digital age took over all aspects of business and life, it was more defensible for IT departments to deliver solutions more slowly. These days, if the time to deal with requests can be measured with a calendar, users will look to a company that can provide them solutions quickly. Shadow IT has many logical explanations with reasonable causes, but it also presents risks for the average organisation. The biggest and most obvious risk is data security. 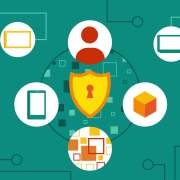 Each cloud service has its own data protection and retention practices, and these might not match with your organisation’s requirements, even if the service itself meets your needs. For example, the cloud service might not encrypt data, either at rest or in transit. The cloud service might even have rigid terms of service that entitle it, at least in theory, to your company’s intellectual property. If an employee who used a Shadow IT service ends up leaving the company, he or she could still have access to the cloud service, which might have important data both for your organisation and its clients. This is a major risk to the company’s long-term client retention and its reputation in the industry. Tribal knowledge is another key risk of Shadow IT. Even if the credentials don’t leave with a certain employee, the knowledge of how to utilise the service might leave when a certain employee decides to move on. This could render the shadow service completely useless. Fortunately Shadow IT is not the end of the world (or your business). While it is unavoidable, embracing and managing it is certainly helpful in reducing the risk of negative impact and ensuring that all uses of technology create value for your organisation – whether it was approved or not. 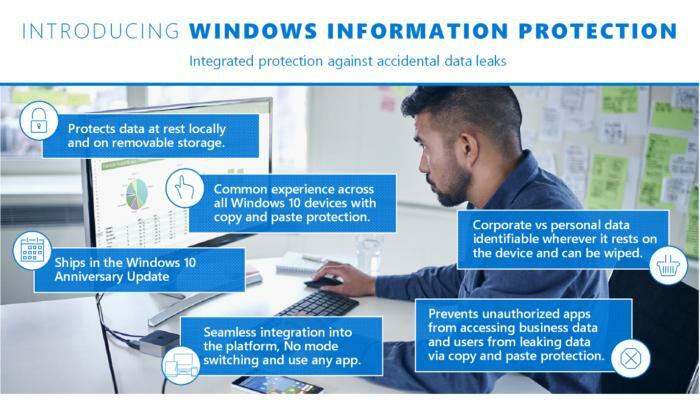 If you are looking for a quick guide on addressing issues caused by Shadow IT, check out our 5 Step Plan of Attack on Shadow IT. The most important way to combat Shadow IT is to engage with your users as active partners, rather than an annoyance or a hindrance. Opening lines of dialogue, such as what DevOps encourages, can strengthen the bond between IT and the business and bolster each side’s sense of common purpose. This could in time eliminate the need for Shadow IT solutions. The IT department has many core competencies, including standards, process, and best practices. For the long term, it would be easier for an IT department or a Managed IT Services Provider to sit down and develop objective standards for any external cloud service, against which the business can gauge a proposed solution, rather than treating each request as an ad hoc. As a result, IT can still become the overall arbiter of technology, as well as the keeper of standards and best practices. It’s a departure from the historical “we build everything” idea, and a great way for IT to fit into the paradigms of modern day business. Shadow IT was the result of numerous factors and developments over the past decades, including increased technical knowledge among end-users and increased gatekeeping and inertia from IT. A new sense of partnership, and a promulgation of key standards and best practices, can allow the IT department to embrace the new reality and bring business tech out of the shadows. Do you have concerns about Shadow IT in your organisation? Chat to us today on 1300 302 207 or send us a message here. Is your business on ISDN? Upgrade before you’re disconnected. In 2016, Telstra announced its decision to cease sale on its ISDN products and other special services as of June 2018. This is due to the nationwide rollout of the National Broadband Network and the incompatibility these products face with the new technology. Telstra’s anticipated final disconnection will occur in 2022 – but businesses could begin losing services as early as 2019 depending on their location. Companies that currently utilise an ISDN service should start considering an upgrade. If your business hasn’t transitioned to a compatible product within eighteen months of the NBN becoming available at your address, your services will be disconnected. This could mean permanent loss of your phone numbers and disruptions to your business. You don’t have to wait until the final disconnection date. Interlinked can help your business migrate to an IP system today that is fully customisable and compatible with ADSL and NBN. On top of functionality and compatibility, it can also cut down on costs by reducing the cost of all your calls. To find out if your address is NBN-ready, click here. For details of Telstra’s announcement, click here. http://www.interlinked.com.au/wp-content/uploads/2018/04/Headset-headphones-and-telephone-in-call-center-665036244_webres-1.jpg 1122 1800 Interlinked Marketing http://www.interlinked.com.au/wp-content/uploads/2017/09/interlinked-Logo-padding-300x81-300x81.png Interlinked Marketing2018-04-16 15:42:332018-04-27 17:02:26Is your business on ISDN? Upgrade before you're disconnected. The Interlinked Mobile Device Management (MDM) service allows you to manage and secure the increasing volume and diversity of both ‘bring your own device’ (BYOD) and corporate-owned devices. To learn more about protecting and controlling your business devices, contact us today. Australia’s Notifiable Data Breaches (NDB) Scheme went into effect recently in February 2018. Cyber security is now more important to Australian businesses than ever, and IT leaders can expect questions and concerns from key stakeholders about what the new laws mean for their organisation. Here are some easy-to-understand answers to the most common questions, or simply download our NDB Fact Sheet. Who does the new Notifiable Data Breaches Scheme affect? Australia’s Data Notification Law came into effect on February 22, 2018. It applies to businesses governed under the Privacy Act 1988 – including any with annual turnovers of $3 million, or businesses that collect and store sensitive user information like payment or personal data. If a data breach will likely result in “serious harm” to individuals, whether reputation, finances, or safety, you are required to notify the relevant parties. Failure to do so can incur fines of up to $1.8 million. 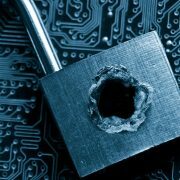 According to the 2017 Cost of Data Breach Global Study by Ponemon Institute, 1 in 4 organisations with top cyber security defences still experience data breaches. 90% of a cyber attack’s bottom-line impact is felt up to two years after an attack. It is important to recognise that data breaches are not an “if” scenario, but “when”. The new data breach laws add hefty fines and heightened public scrutiny on top of many other consequences of a breach, including: loss of sales and contracts, compromised IP, and legal action. Customers and shareholders will hold business leaders responsible for non-compliance with these laws. What do we do when a breach is detected? the breach, the nature of any compromised information, and recommendations to individuals on what they should do next. The law gives organisations only 30 days to investigate any suspected breach, or plug any possible data loss, before notification is required. 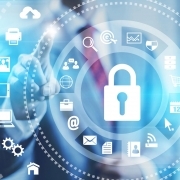 How can you protect your business against breaches? Monitor your networks. According to the Cost of Data Breach Global Study, it takes an average of six months to discover a data breach. It’s critical to have a robust monitoring system not only to help you and your team identify and stop threats more consistently, but also to make compliance with data breach notification laws much simpler. The more visibility you have into your data and networks, the easier it is to give details to regulators and the public if a breach occurs. Download our NDB Fact Sheet for quick sharing with your business leaders and colleagues. Have concerns or want to learn more about the NDB Scheme? Contact Interlinked today. Microsoft has recently signed a new deal with Telstra, introducing Telstra Calling for Office 365. It’s a cloud-based service for public switched telephone network (PSTN) calling within Office 365 delivered from the Microsoft cloud, and available only for Telstra business customers in Australia. The service will be available from mid-2018, and supports Telstra calling plans from both Skype for Business and Microsoft Teams – the software giant’s chat-based Office 365 workspace – meaning users can access cloud collaboration and voice services. Telstra Calling for Office 365 lets customers access cloud collaboration and voice call services with Telstra calling plans supported directly from Skype for Business and Microsoft Teams. The partnership combines Telstra’s carrier-grade service with Microsoft collaboration platforms, resulting in a richer user experience. Telstra’s Executive Director of Global Products, Michelle Bendschneider, says employees want to connect in lots of different ways, but without the hassle of disparate systems. “By combining what have traditionally been separate collaboration channels, we’re helping to increase productivity while simplifying the experience for employees. “Telstra Calling for Office 365 is a unique solution to enable cloud voice within Office 365 and is testament to the strong partnership our two organisations have built over many years,” Bondi adds. Business grade voice coupled with collaboration apps like Office 365 will accelerate the migration from traditional services, such as an IP PBX, to the cloud. Over 200 customers have taken part in a pilot of the service over the last six months, with 30 Telstra customers now taking part in an early adopter program to move voice services to the cloud. According to Microsoft and Telstra, they have seen “strong” interest in the product. As a Telstra Partner for Enterprise & Business as well as Microsoft Gold Partner, we’re excited about the opportunity to provide our clients with the best of Microsoft’s productivity cloud and collaboration tools combined with Telstra’s expertise in voice, network and service capabilities in one single solution. To learn more about moving your business voice needs to the cloud, contact us today.